Once you have picked your location and decided where you are going to play golf and how many rounds you will play the next most important point to consider is what food and beverage package you are going to have. The last five or six years have seen a massive increase in the number of Resorts offering all-inclusive packages. The main advantage of that is that the group knows in advance what the holiday is going to cost and can budget accordingly. It varies from resort to resort what it actually comprises but as a general rule of thumb, wine and beer are included whilst the spirits that are included generally tend to be local brands. The hotels in Turkey pioneered this offering as there was very little alternative as there were very few bars and restaurants locally offering any other places to eat or drink. Following the popularity of this golfing region and the approach it has taken, other areas have followed suit. The disadvantages are that having paid for it, it does mean that you may not experience as much of the local bars and restaurants. Also you are relying on the quality of food that is offered and it may restrict the choice and type of food available. In areas like the Algarve and the Costa del Sol there are so many bars and restaurants in the main tourist areas that the hotels find it very difficult to compete in terms of quality and choice as the competition keep prices low and quality high. Some Resorts, such as Morgado Golf And Country Club, Isla Canela and El Rompido Golf Resort are offering what they call ‘semi all-inclusive’ packages, whereby drinks are included at restricted times generally from 17.00 to midnight and, depending how much alcohol you are likely to consume, may represent value. The half board option used to be more popular than it is now but it is still worth considering if there is a large group travelling. It’s quite difficult to get everyone together to meet at a certain time if you are going out as a group and far easier to say meet in the hotel bar at a certain time and then eat in the hotel restaurant rather than waiting for the odd straggler to turn up. Bed and breakfast is still the most popular option in the majority of places and it is easy to see why. It is far easier to get everyone in the hotel at the same time for breakfast rather than trying to get everyone to a local café all at the same time. Finally there is the room only option where you don’t get breakfast included and for those on a limited budget it’s a sensible option. In the main areas of Spain and Portugal there are numerous local cafes offering breakfasts at ridiculously cheap prices as the competition for customers is very competitive. Whichever option you favour it is well worth considering what will suit your group the best and you should be able to get advice from your tour operator to ensure the maximum satisfaction for the majority of your group. 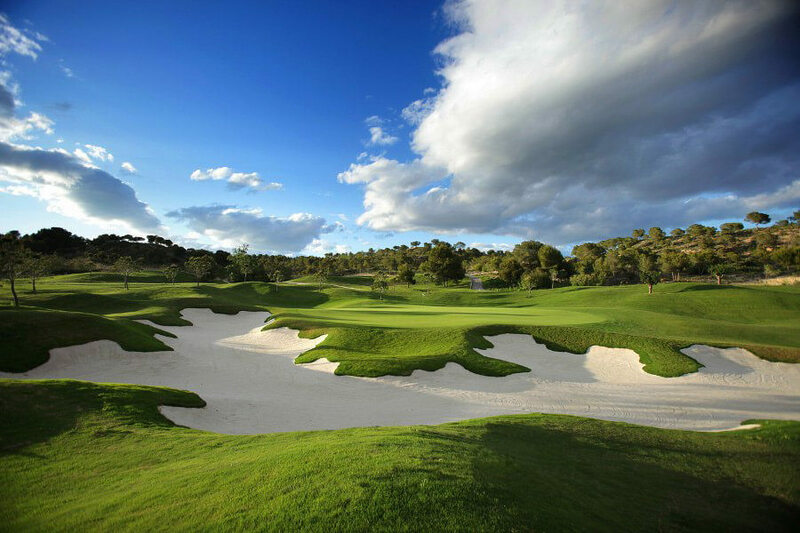 Glencor Golf Holidays was founded in 1995 providing golf holidays across Europe. Run by a team of golfers, it is this first-hand experience that has helped Glencor Golf Holidays put thousands of happy golfers on the fairways for twenty years. Glencor Golf is a member of IAGTO, offers financial protection on all payments and was nominated for Family Business of The Year by FamilyBusinessPlace.com in 2015.